I am so excited to (finally) present you with my logo and other delightful branding products! I am absolutely in love with the work the finished products and I could not say enough about my wonderful designer, Renee Jones of Mulberry Designs. Before I go any further, I’d like to say thank you to everyone (and there were a lot of you!) who chimed in with your two cents while I was still in the initial designing process with Renee. The branding journey began with an email of the photo below to Renee. This little heart has become my signature stitch and I new that I wanted to incorporate it somehow in my logo. I sent Renee the image and she created/interpreted it in digital form. Kind of awesome to see that happen! 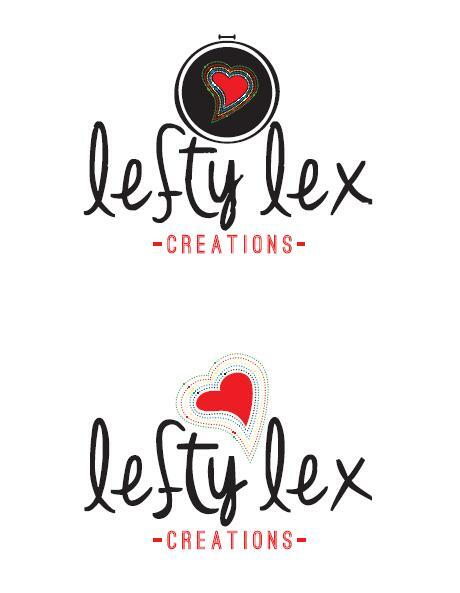 She then sent these two designs to me as potential LLC logos. Deciding between the two potential logos above was tricky. While lots of followers liked the font on the left best, I ultimately went with a slightly altered version of the font on the right because it looks much more like my own handwriting. I did however absolute LOVE the little hoop design on the left. While taking your lovely feedback into consideration, I decided that I preferred the hoop design from the left logo paired with the lettering of the right logo. Renee then created these two designs to show me what exactly my two likes would look like paired together. This is where decisions began to be a bit more difficult for me. Luckily Husband always has ideas on what exactly my finished products should look like. We decided that even though I loved the top logo, it looked a bit crowded. Ultimately I liked the overall look of the later as a logo but I still loved the heart and hoop, so I asked her to create that as a separate avatar for me, which she graciously did. Best of both worlds! There were several drafts and little kinks that were worked out prior to the finalization; things like smoothing out the font, changing the colors slightly, adding rows of colored dots, removing other dots, etc., etc. Overall, however, it was a rather painless and exciting experience. And I am finally able to present you with the finished products… don’t you love them? I absolutely do! I cannot say enough wonderful things about Renee, truly! She was extremely professional, listened to my ideas and turned them into reality. I searched for a branding designer for quite a while, but some showed poor work portfolios and others were severely overpriced; Mulberry Designs was neither. Renee has a fabulous body of work (of which my logo has been added to!) and she is reasonably priced. I would highly suggest Renee to anyone looking to brand or re-brand themselves. I could not be happier with the overall look that she has given me! These are awesome! I love your business cards – what a neat idea to put your info in a hoop! Thanks! 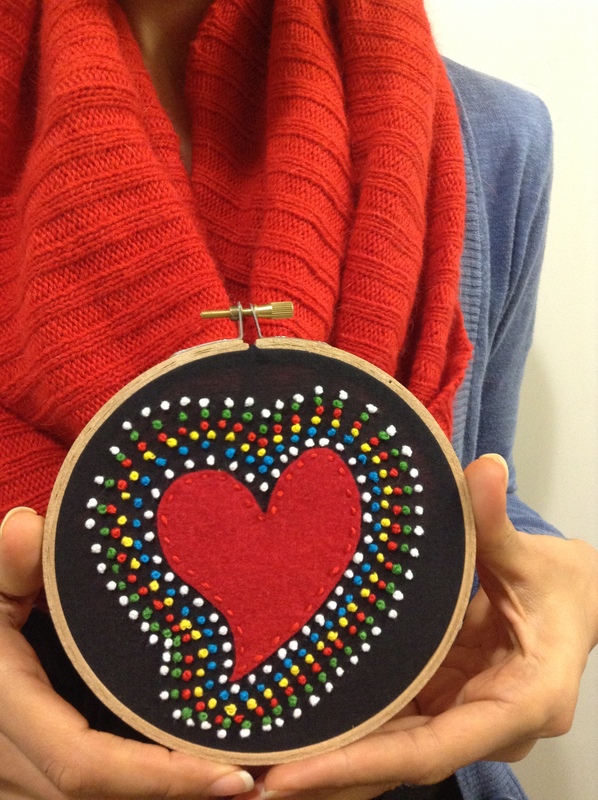 But I will not take credit for the hoop idea, that was the brainchild of another artsy friend of mine. And my designer, Renee Jones (http://www.etsy.com/shop/MulberryDesign22?ref=pr_shop_more) executed the idea brilliantly!